In previous post, we have talked about the differences between hardware RAID and software RAID. 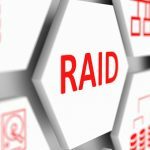 We will compare different RAID levels this time. The RAID level you use affects the exact speed and fault tolerance you can achieve from RAID. 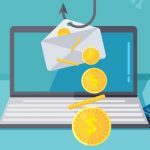 It also matters whether you have hardware or software RAID, because software supports fewer levels than hardware-based RAID. There are several popular RAID levels, including RAID 0, RAID 1, RAID 5, RAID 6 and RAID 10. Let us take a deeper look at each of these RAID levels. In a RAID 0 system, data are split up into blocks that get written across all the drives in the array. By using multiple disks (at least 2) at the same time, this offers fast read and write speeds. All storage capacity can be fully used with no overhead. 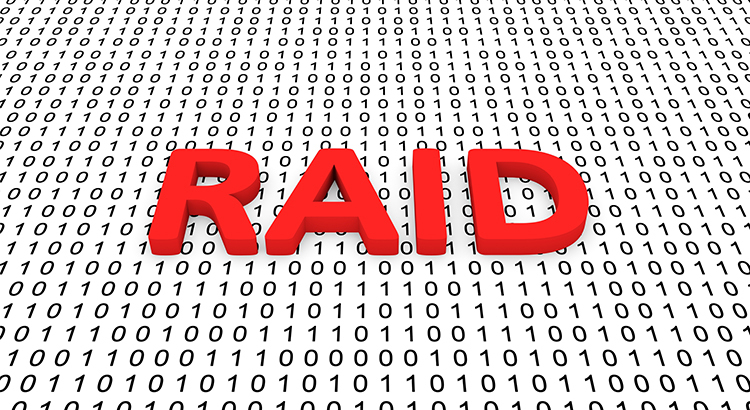 The downside to RAID 0 is that it is NOT redundant, the loss of any individual disk will cause complete data loss. Thus, it is not recommended to use unless the data has no value to you. 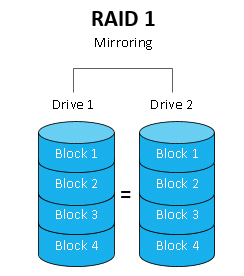 RAID 1 is a setup of at least two drives that contain the exact same data. If a drive fails, the others will still work. It is recommended for those who need high reliability. An additional benefit of RAID 1 is the high read performance, as data can be read off any of the drives in the array. However, since the data needs to be written to all the drives in the array, the write speed is slower than a RAID 0 array. Also, only capacity of a single drive is available to you. 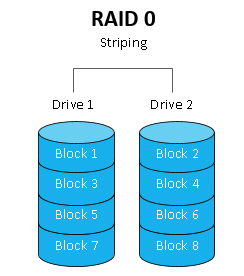 RAID 5 requires the use of at least 3 drives, striping the data across multiple drives like RAID 0, but also has a “parity” distributed across the drives. In the event of a single drive failure, data is pieced together using the parity information stored on the other drives. There is zero downtime. Read speed is very fast but write speed is somewhat slower due to the parity that has to be calculated. It is ideal for file and application servers that have a limited number of data drives. RAID 5 loses 33 percent of storage space (using three drives) for that parity, but it is still a more cost-effective setup than RAID 1. The most popular RAID 5 configurations use four drives, which lowers the lost storage space to 25 percent. It can work with up to 16 drives. RAID 6 is like RAID 5, but the parity data are written to two drives. That means it requires at least 4 drives and can withstand 2 drives dying simultaneously. Read speed is as fast as RAID 5, but write speed is slower than RAID 5 due to the additional parity data that have to be calculated. 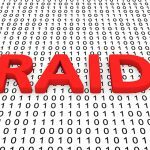 RAID 6 is a very good option for a standard web server, where most of the transactions are reads. But it is not recommended for a heavy write environment, such as a database server. RAID 10 consists of a minimum for four drives and combine the advantages of RAID 0 and RAID 1 in one single system. It provides security by mirroring all data on secondary drives while using striping across each set of drives to speed up data transfers. This means that RAID 10 can provide the speed of RAID 0 with the redundancy of RAID 1. 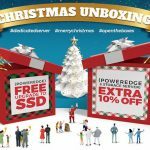 You can lose any single drive, and possibly even a 2nd drive without losing any data. Just like RAID 1, only half of the total drive capacity is available, but you will see improved read and write performance and also have the fast rebuild time of RAID 1. Compared to large RAID 5 or RAID 6 arrays, this is an expensive way to have redundancy though. For most small to medium sized enterprises, RAID 5, RAID 6 and RAID 10 suffice for good fault tolerance and performance. If you have a limited budget and want to get the most out of the disks you have popped into your array, RAID 5 and RAID 6 are ideal. For big data operations such as server farms and data centers however, where budgets will be bigger and performance more important, RAID 10 still offers the most benefits. Our dedicated server comes with hardware RAID, supporting RAID 0 / RAID 1 / RAID 5 / RAID 10. 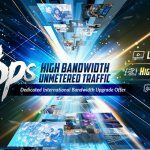 If you are not sure which RAID level to be used in your dedicated server, contact us by phone +852 3959 1888 or email sales@dataplugs.com.